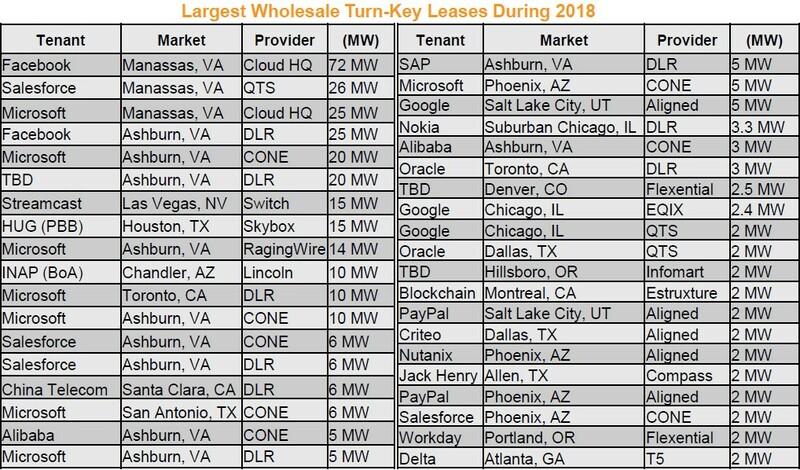 Colocation providers expect to reel in a lot more enterprise business in 2019, as enterprises rethink infrastructure and retool, getting rid of as much on-premises data center space as they can, replacing it with cloud services and – when necessary – modern colocation facilities. As Clint Heiden, chief revenue officer at QTS, explained, enterprises in healthcare, financial, manufacturing, and other industries that built their own data centers about a decade ago are now realizing it can cost hundreds of millions of dollars to get those facilities up to modern standards. They’re also realizing that they need a lot less data center space for the same infrastructure, “making a refresh very cost-prohibitive,” he added. Increasingly, they’re turning to colocation as the alternative, where they can both get up-to-date infrastructure and access to cloud providers, often at a lower cost than keeping everything in-house. To make themselves more useful to these companies, many colocation data center operators have been building digital tools to create a user experience and functionality that feels a lot like public cloud. The core principles here are abstraction of the physical, automation, microservices, APIs, easy software-based provisioning, and unified management of different types of infrastructure, be it cloud, colo, or on-prem. Being able to manage a mix of infrastructure is a crucial component for these platforms. Hybrid cloud is on the rise – a trend highlighted by the amount of hybrid cloud products and features hyperscale platforms rolled out this year – and colo companies are positioning themselves as the place where private, customer-controlled infrastructure meets public cloud. Colocation providers are also starting to look for ways they can help customers get their application infrastructure physically closer to end users, both to improve performance and to tame network bandwidth costs. Hyperscale cloud data centers dominated the conversation this year, James Leach, VP of marketing at RagingWire Data Centers, told us. But the year has also seen some of the first ever deployments of edge computing infrastructure at wireless towers. “How about a new data center architecture that combines hyperscale and edge to create ‘hedge’ data centers?” he said. The state of New York has created a cryptocurrency task force following the signing of a digital currency study bill by Governor Andrew Cuomo. The task force of experts will help us strike the balance between having a robust blockchain industry and cryptocurrency economic environment while at the same time protecting New York investors and consumers. Members of the cryptocurrency task force who will be appointed by the New York State Assembly, Senate and the Governor will be drawn from the tech sector, the investor community, academia and blockchain firms. The task force is expected to have turned in a report by December 15 next year. The idea of a cryptocurrency task force in New York was initially proposed mid last year following an inquiry into exchanges that had been launched by the Office of the Attorney General in the state. At the time, the New York AG’s Office indicated that the inquiry had been started following an increase in public interest in cryptocurrencies and a spate of cryptocurrency heists. These technologies can’t flourish and grow without thoughtful regulation that connects them to finance. As long as jurisdictions strike the right balance, we think it’s going to be a huge boon and win for cryptocurrencies. When I saw this 34-point demand, with a deadline 2 weeks out, I immediately thought ‘The audacity of these guys – the entitlement, the disrespect for our business, out time! The resource diversion for this production is massive. This is going to completely blow up our roadmap! How Did Ethereum Rise by 80% in 30 Days? Two main factors have likely contributed to the short-term surge in the price of Ethereum in the past month: oversold conditions and the upcoming Constantinople fork. From early November to mid-December, Ethereum experienced a steep decline in value as its price fell from $220 to $83. Despite its recent 80 percent climb, the asset is yet to achieve November levels and would still have to increase by an additional 46 percent to rise back to $220. The market demonstrated oversold conditions subsequent to the sudden decline in the price of Ethereum from November to December, relieving sell-pressure on the crypto asset and allowing the asset to recover. Upcoming Ethereum fork “Constantinople” is increasing the demand for Ethereum. According to Alex Krüger, an economist and a cryptocurrency trader, the upcoming fork of Ethereum called Constantinople is increasing the demand for Ethereum, as the fork would reduce the block rewards of ETH from 3 to 2. “Notable outperformance of ETH over BTC in the last few weeks. There’s a reason for it: the upcoming fork / supply reduction. Another BAKKT delay adds to it,” the trader said. The reduction of the block rewards of ETH restricts the amount of ETH miners can generate, which in the long-term will lead to a gradual decline in the potential circulating supply of ETH. As the supply of ETH goes down and the demand goes up or remains the same, the ETH price is expected to increase. Ethereum’s Constantinople fork is coming on block 7080000, around January 16, 2019. Constantinople will reduce the block rewards from 3 to 2, decreasing new ETH supply accordingly. On the long run, this is decidedly bullish. Krüger also pointed out in his analysis that in previous forks, Ethereum increased substantially in value. While the state of the market is significantly different than in previous instances, in consideration of the historical performance of ETH, the trader suggested that the Constantinople fork could contribute to the rise in the price of the asset. “On the Homestead fork, ETH increased by 1150% in the two months prior (in both USD and BTC terms, as BTC was relatively flat during that period). Price started a 50% reversal the day of the fork. Not suggesting one should expect the same – different market, different times,” Krüger noted. ETH remains as one of the best-performing assets in December 2018, outperforming Bitcoin, Ripple, and Bitcoin Cash. However, the valuation of the cryptocurrency market still remains at $130 billion and it is far from recovering to previous highs and as such, it is still too early to conclude that ETH has started to enter a mid-term bull rally. African telecommunications group Liquid Telecom, a subsidiary of Econet, has received $180 million in funding from a UK government agency to build a fiber network in central and western Africa. The money comes from CDC Group (formerly the Commonwealth Development Corporation), a development finance institution owned by the UK government, and marks one of its largest ever investments. Liquid Telecom provides colocation capacity through its data center arm, Africa Data Centres, and runs Africa’s most extensive fiber optic network, stretching from Cape Town, through all the Southern, Central, and Eastern African countries, through to Sudan and Egypt. The company said the money will help accelerate the expansion of its network infrastructure, helping connect some of the continent’s most remote regions. “Our vision is to give every individual on the African continent the right to be connected by bringing reliable, high-speed broadband connectivity and cloud services to all. This includes businesses and communities in some of the most remote parts of the continent,” said Nic Rudnick, Group CEO at Liquid Telecom. “Digital infrastructure is still a major problem for Africa’s governments, people and its businesses, so improving access to affordable and quality internet is central to Africa’s development and economic growth,” added Nick O’Donohoe, CEO of the CDC Group. Earlier this year, Liquid Telecom announced it would spend $400 million over the next three years to improve its network and data centers in Egypt. The Orion Span project offers a holiday in the outer space package that accepts crypto currencies as payment. Holiday season is here! Some of you might become unexcited as you have run out of ideas to spend it. If so, the Orion Span project could be a great idea to spend your holiday. Since its launching on April this year, the team behind the project has been working on “building” a hotel on their Aurora space station to be ready to welcome visitors. So far, the company claims to have received as many as 26 reservations from travelers around the world for their 12-night stay in outer space package. Explaining the project further, the hotel will have the capacity for 4 to 6 guests and 2 crew members for each departure of the 12-night stay package, during which, they can experience a zero-gravity environment, enjoy the view of the northern and southern aurora as well as participate in available space experiments. In addition, the Aurora Station Hotel will also have amenities, such as holodeck that gives virtual reality experiences and live streaming wireless internet to, well, post videos and pictures to social media for sure! So, what’s the catch for such a mind-blowing holiday experience? The once-in-a-lifetime 12-night stay in the outer space package will require pretty deep pockets as it costs $9.5 million. Big ouch! The good news is, the company stated that they accept various cryptocurrencies, such as Ethereum (ETH), Bitcoin Cash (BCH), Litecoin (LTC) and Bitcoin (BTC) for payment. And it will only start sending off travelers on 2022, although a down payment of $80,000 is required to reserve a space. It means, there’s still time to save for that once-in-a-lifetime holiday trip. It’s even better with the current situation where crypto prices are tanked, and crypto market is said to have reached a new yearly low, which could probably become a new perspective to see and endure what it seems like a never-ending bear market. Lastly, Orion Span is not the only company that offers such experiences to the public. According to News Bitcoin, Elon Musk’s Space X also has similar project, called the Falcon 9, while Sir Richard Branson’s Virgin Galactic also has their Spaceship Two project, which is said to accept Bitcoin as payment as well. Amazon announced two new services to help companies manage business transactions that require full auditability. Amazon QLDB is a transparent, immutable, and cryptographically verifiable ledger for applications that need a central, trusted authority to provide a permanent and complete record of transactions (for example, supply chain, financial, manufacturing, insurance, and HR). For customers who want to build applications where multiple parties can execute transactions without the need for a trusted, central authority, Amazon Managed Blockchain makes it easy to create and manage scalable blockchain networks using the popular, open source Ethereum and Hyperledger Fabric frameworks. With a few clicks in the AWS Management Console, customers can set up a blockchain network that can span multiple AWS accounts and scale to support thousands of applications and millions of transactions. Other customers want the immutable and verifiable capability provided by a ledger, however they also want to allow multiple parties to transact, execute contracts, and share data without a trusted central authority. For this, customers use blockchain frameworks like Ethereum and Hyperledger Fabric. But setting up these frameworks is hard and time consuming. Each member of a permissioned network has to provision hardware, install software, create, and manage certificates for access control, and configure network settings. As usage of a blockchain application grows, there is a lot of work involved in scaling the network, including monitoring resources across all nodes, adding or removing hardware, and managing the availability of the entire network. This complexity is the reason many customers typically need the help of expensive consultants to make blockchain work. Amazon Managed Blockchain is a new, fully managed blockchain service that makes it easy and cost-effective for customers to create and manage secure blockchain networks that can scale to support thousands of applications running millions of transactions. Amazon Managed Blockchain supports two popular open source blockchain frameworks, Ethereum and Hyperledger Fabric, and setting up a blockchain network is as easy as a few clicks in the AWS Management Console. Customers simply choose their preferred framework, add network members, and configure the member nodes that will process transaction requests. Amazon Managed Blockchain takes care of the rest, creating a blockchain network that can span multiple AWS accounts with multiple nodes per member, and configuring software, security, and network settings. For a permissioned network, Amazon Managed Blockchain secures and manages blockchain network certificates with AWS Key Management Service, eliminating the need for customers to set up their own secure key storage. Amazon Managed Blockchain contains a voting API that allows network members to quickly vote to add or remove members. And, as application usage grows, customers can add more capacity to the blockchain network with a simple API call. Amazon Managed Blockchain offers a range of instances with different combinations of compute and memory capacity to give customers the ability to choose the right mix of resources for their blockchain applications. To learn more about Amazon QLDB, visit https://aws.amazon.com/qldb. To learn more about Amazon Managed Blockchain, visit: https://aws.amazon.com/managed-blockchain. Hong Kong-based crypto and payments platform Crypto.com just added Ripple’s XRP digital currency to its Wallet & Card App for iOS and Android. Crypto.com announced the news in a press release. The app already supports bitcoin (BTC), Ether (ETH), Litecoin (LTC), Binance Coin (BNB), and Crypto.com’s native MCO token. Now, it supports Ripple’s XRP digital currency, which has been on a bull run over the past few weeks. The app allows users to send, buy, sell, store and track cryptocurrencies – similar to other wallet apps. You can also order a physical card that allows you to spend cryptocurrency as easily as you would use a credit card. The price of XRP seemed unaffected by the news. The coin is down 4.64% over the last 24 hours. XRP surged in value earlier this week after a slew of positive announcements, including news from Ripple’s Swell conference in San Francisco. At that conference, it was also confirmed that three financial institutions were already using Ripple’s xRapid technology – which uses the XRP digital currency – for commercial purposes. While XRP remains about even on the week, the price of XRP has doubled in the last 2 to 3 weeks over excitement about the continued growth of Ripple’s xRapid protocol. On September 17, XRP was sitting at a price of $0.27. Since September 21, XRP has held steady above $0.50. This is the first coin that Crypto.com is releasing on its new platform. The new infrastructure of the platform will make it easier to add new coins in the future. Crypto.com also expects the new infrastructure to lead to faster withdrawals and better security, among other user benefits. “XRP is the first coin that we’re releasing on our newly built backend infrastructure, which allows us to add new coins faster, as well as, to perform faster withdrawals, all while maintaining full security of the platform,” explains Kris Marszalek, co-founder and CEO of Crypto.com. Crypto.com conducts an internal review and evaluation process before adding a new cryptocurrency to their platform. It’s unclear which cryptocurrencies may be added to Crypto.com next, and the press release didn’t give us any hints. The Crypto.com Wallet & Card App is available for free for iOS and Android. 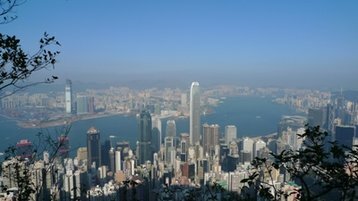 Crypto.com is a Hong Kong-headquartered company seeking to accelerate cryptocurrency adoption worldwide through its flagship app. You can learn more or download the Wallet & Card App today by visiting Crypto.com. At AWS re:Invent in Las Vegas, Amazon Web Services announced that it is now offering Arm CPU-based instances for the first time. The ‘Graviton’ 64-bit processor was designed in-house; it was created by Annapurna Labs, a chip company Amazon acquired for $350m in 2015. Annapurna also developed two generations of ‘Nitro’ ASICs that run networking and storage tasks in Amazon’s data centers. “With today’s introduction of A1 instances, we’re providing customers with a cost optimized way to run distributed applications like containerized microservices,” Matt Garman, VP of compute services at AWS, said. The A1 instances are available now in the US East (Northern Virginia), US East (Ohio), US West (Oregon) and Europe (Ireland) regions as on-demand, reserved, spot and dedicated instances, and in dedicated host form. The chip is supported by Amazon Linux 2, Red Hat Enterprise Linux, and Ubuntu, with support for more operating systems on the way. There are five flavors of A1 EC2 instances – from the a1.medium with 1 vCPU, 2GB of RAM, up to 3.5Gbps EBS and 10Gbps network bandwidth, priced at $0.0255 per hour on-demand, to a1.4xlarge with 16 vCPUs and 32GB of RAM, priced at $0.408 per hour. Depending on the workload and configuration, AWS claims that A1 instances could be up to 45 percent cheaper than its x86-based virtual machines. Image hosting platform SmugMug said that it saw 40 percent cost savings from a shift to A1. Earlier this month, AWS announced that it would offer instances based on AMD Epyc CPUs, something that could inconvenience its long-time partner Intel, the dominant supplier of server chips.